The big orange beast that is Sainsbury's has been one of the biggest supermarkets in the UK for yonks. But does that count for anything when it comes to Sainsbury's home insurance? Sainsbury's started offering home insurance in 1997. This is when it started Sainsbury's Bank. It was originally a joint venture with Bank of Scotland, but is now fully owned by Sainsbury's. How are these bank-owning facts working out for you? Ok, try this fact on for size. Founder John Sainsbury's last words were "Keep the shops well lit." That's good, right? How much do you like Nectar points? We ask as Sainsbury's has put those sweet, sweet Nectar points at the centre of its home insurance offer. 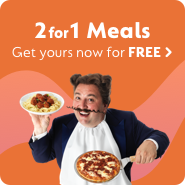 When we looked in March 2018, Sainsbury offers double Nectar points on all food and fuel purchases if you buy Sainsbury home insurance. But what types of home insurance are on offer? Sainsbury's offers buildings insurance. This policy offers cover for your home's structure and its permanent fittings and fixtures, but not the contents. But Sainsbury's also offers contents insurance. This policy offers protection for your personal items that aren't fixed to your home. A contents-only policy may work for you if you rent. The buildings insurance is likely to be the responsibility of the landlord. Always check though. And yes, Sainsbury's combines these two into the imaginatively titled 'buildings and contents insurance'. This was the case in March 2018. But home insurance policies are always changing, trying to stand out from the crowd. So double-check the policy document before you buy any insurance. Wondering what's the difference between personal possessions cover and contents insurance? Personal possessions cover protects your items when you take them outside of your home. Contents is only when they're in your property. Sainsbury's doesn't offer specific boiler cover. Yet if you're worried about your boiler being on the blink then consider home emergency cover. You can add this to your Sainsbury's home insurance as an extra. We heard a few people talking about this. So we slapped our deerstalkers on and did a bit of sleuthing. It seems that Sainsbury used to have something called Sainsbury's Premier Cover home insurance. And maybe it will again. But in March 2018, there was no Sainsbury's Premier cover insurance available to buy. Another case solved. Fairer Finance also gave it a bronze ribbon for customer experience, and ranked it 18th of 47 providers. How do you make a claim on your Sainsbury's home insurance? The short answer is it depends on when you took out the policy. The longer answer is it seems that Sainsbury's uses lots of underwriters to provide its home insurance. So when did you take out your Sainsbury's home insurance? Before 31 January 2012? It’s with Halifax. Between 1 February 2012 and 2 March 2017? UK Insurance Limited is your destination. From 1 February 2017 to when we looked in March 2018? Take your pick from Axa, Covea, Integra, Legal and General, Modus, Prestige or RSA. It should say on your policy documentation who you're with. Oh, and that's just for claims on the standard home insurance. There are other numbers to call if you're claiming on one of the extra optional policies. It might be a good idea to keep a copy of your policy information online. If anything happens and you can't access your home, then you should still be able to get this info. To cancel you Sainsbury's home insurance, you have to give them a ring. But you don't have to give a reason for cancelling. Yet you may get charged a fee if you do it outside the cooling-off period. If you cancel before the policy starts, or during the first 14 days, you should get a full refund. This was the case when we checked in March 2018. Sainsbury's may also charge you fees if you make changes to your policy. Info on fees can be a little tricky to find and can change, but a good dig should tell you what these are.